It is being whispered in some quarters that Somali piracy is defeated. The scourge of the Indian Ocean crept into our consciousness in 2005, was caricatured in South Park in 2009 following the hijack of the MV Maersk Alabama, rampaged out of control in 2010 and 2011, before being suppressed in 2012. The EUNAVFOR statistics are impressive. Attacks are down from a high of 176 in 2011 to just 3 in 2013. Sightings of pirate attack groups are rare and boardings rarer still. No vessel has been successfully hijacked and placed under pirate control since the capture of the MV Symrni in May 2012. There is no question that the situation has dramatically improved but are we at the end game? In order to answer the question you need to go back to the beginning of the problem. Why and how did it start? Back in 2005 the Somalia was devastated and the economy shattered. The coastal fishing communities had been hard hit by a series of economic and social hammer blows. The small fishing industry which provided 5% of GDP collapsed in the 1990s following the fall of the Siad Barre regime. Villages were hard hit in 2004 by the Asian tsunami reportedly displacing 5,000 people. 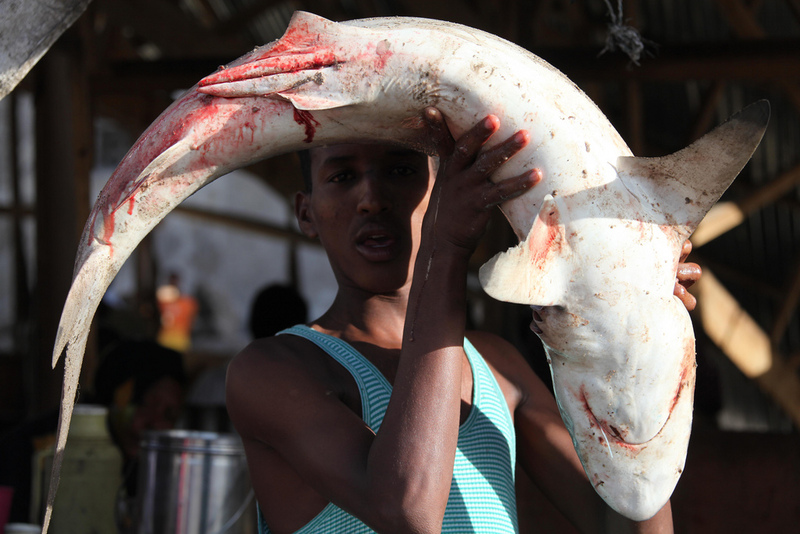 European and Asian fishermen surged into Somali waters depleting fish stocks and driving local fishermen from their own fishing grounds. These conditions provided the breeding ground for pirates while the lack of government authority and endemic corruption enabled pirates to operate from safe havens on the Somali coast. Piracy proved to be a lucrative business model. It had relatively small start up costs and potential life changing returns. The risks were high but as an alternative to subsistence living it was an attractive proposition. The “entrepreneurs” and organisers moved in, and it soon grew from a cottage industry to a multi-million dollar business. Despite improved governance and recent economic growth, Somalia remains a chronically poor country. GDP in 2012 was assessed as $6 billion for a population of 10 million Somalis – compare that with the $208 billion for the same size Greek population. The vast majority of Somalis continue to live on or below subsistence levels. The piracy business model continues to a good one and the guns, skiffs and engines remain available. A start up cost of thousands of dollars has the potential return of millions, providing a life changing lump sum for the lowest paid pirate and untold wealth for the key investors. The rewards of piracy, like drugs, will continue to appeal to the disadvantaged of society. Some of the older pirates, notably Mohamed “Afweyne”Abdi Hassan, have gone into retirement – or other lucrative employment – but the younger middle order are still there, hungry to secure their financial positions and promote their standing in Somali folklore. So to answer the question, is Somali piracy dead, I would answer – No. The battle to deter piracy at sea is proving effective for the time being. The combined measures of better coordinated maritime forces, the deployment of armed vessel security detachments (VSD) provided by private security companies and the adoption of Best Management Practise by ship owners have reduced opportunities for attacks. But from all other angles the pirates’ motivation, intent and capability remain intact. All they are waiting for is the opportunity for success.Eventually the costs of the security operation estimated at between $2.7 – 3.1 billion will start to bite. Shipping companies will take risks – currently only 35% of vessels carry VSD – to reduce costs and vessels will be taken. Maybe not in the numbers seen previously, but enough to maintain the business aspirations of pirate investors. The problem is that the high profile security operation is only a means to an end. It buys time and stability to solve the problem. It is the bandage applied to the wound while the antibiotics take effect. Alongside the strategic tasks of establishing a functioning political system, fighting corruption and increasing national governance there are two practical matters that should addressed. There needs to be much greater cooperation between the international law enforcement agencies to enable them to go after the system – money and investors – that enables the multi-million dollar business. More fundamentally, we must recognise that the long term solution to piracy lies on land. More needs to be done to help coastal communities develop an alternative economy to reduce piracy’s appeal. An answer lies in establishing a sustainable fishing industry to support the local communities. There is no reason why this cannot be done and every reason why it should be done. Interestingly, it can probably be done at a fraction of the cost of maintaining the fight against piracy at sea for another 5 years. More of that in my next piece.